After only eight years, Holly Armstrong was leaving Meriden. She had an opportunity to pursue her music career, and she disliked her job. This was a once in a lifetime chance, and there wasn't anything or anyone holding her back. Not that she didn't wish there was. For her, one word from Logan Riley, and she would stay in Meriden forever. Logan couldn't believe what he'd just learned. Just after Holly walked away, someone had mentioned that she was leaving town. His Holly, and she hadn't even told him. Then with the revelation of someone about to lose something very dear, Logan realizes that he loves her. Now he just has to find her, and court her during the town's Winter Wonderland Carnival. Snow Kissed is a sweet, touching romance between two people who love each other, but haven't yet found the courage to say the words. I adored Logan. He might know exactly what he wants - Holly - yet he has no idea how to court her. The story also felt complete, primarily because although it was a short story, it was about two people who are best friends finally realizing the extent of their feelings. Snow Kissed was my favorite story in the anthology. 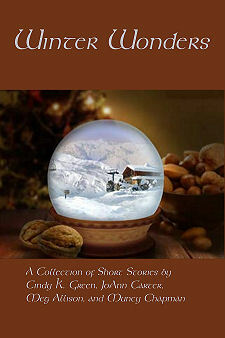 Snow Kissed is a short story in the Winter Wonders Anthology which includes 4 stories. The other stories are Smuggler of the Heart by JoAnn Carter, Gwen's Resolution by Meg Allison, and Maybe Forever by Muncy Chapman. 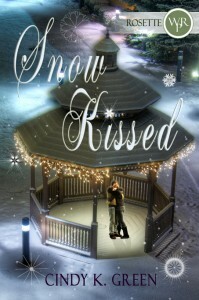 Snow Kissed was revised and expanded for release as a single title with White Rose Publishing. I was thrilled to learn that this story was being rereleased so new readers would have the pleasure of reading this story. I was intrigued to see how much I would like this new version, and was exceedingly pleased. The revision to inspirational was seamless. I did not need to revise my previous review. The primary change is that the story is now available as a single title and there is more introspection as the characters deal with the decisions they must make, and place their trust in God and prayer. Congratulations to Cindy K Green for the rerelease of a touching friends romance where the hero has to face losing his heroine as he recognizes that he is "oh-so-in-love" with her.